No matter what industry, segment and audience your market entails a substantial portion of your customers and leads are on social media. A recent Pew Research Center study found that 68% of American adults are Facebook users. Among 18 to 24-year-olds, 78% use Snapchat 71% use Instagram and 45% are on Twitter. Even among Americans 65 and older, 37% are social media users. Having access to all those customers helps you boost traffic. 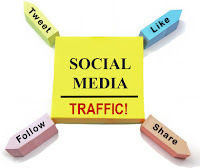 Social media posts provide an opportunity for the public to find your new web content and click through to your site. And because those posts will primarily show up in the feeds of followers and people interested in your product, that traffic is typically very targeted. It won’t just boost your traffic numbers — it will bring in the type of visitors you want to attract. 2. An active social media presence builds relationships with your audience. Consumers see Twitter, Facebook and Instagram as social networks, not marketing machines. That can be a challenge when you’re first developing your social media marketing strategy. A lot of companies instinctively take a hard sell approach, inundating their followers with discount offer codes, new product announcements and customer reviews. When you stop seeing social as a way to pitch your customers and start seeing it as a way to connect with them, it can transform your brand. You help customers by answering their questions, entertain and inform them with relevant content. Over time, you’ll become more than a brand — you’ll be a part of a community. And that comes with serious ROI. Exposure brings in new leads. Over time, those leads become followers, followers become customers and customers become dedicated brand promoters, continuing the cycle. 3. Social media is key to customer service. A recent Sprout Social study found that customers want responses to social media companies within four hours, but yet the average response time is 10 hours. This isn’t just an isolated data point, either. Study after study has shown that consumers reward companies that respond to customer requests and complaints. A strong and engaged social media marketing presence will help you keep customers happy, and keep your public image positive. 4. The social media marketing arena is a (fairly) level playing field. Everyone can start a social media account for free, and most SMEs can dedicate either the time to maintain a social media channel, or the the budget to outsource social media marketing. Not surprisingly, when you stay in front of your customer base, they’re more likely to buy from you when they need the products you sell, but social media marketing does far more than increase brand presence. You can influence customer buying decisions at multiple points along the sales funnel, from amplifying the reach of white papers and blogs targeting top of funnel, to answering customer questions and addressing pain points, to incentivizing buyers with coupon codes. 6. You can directly find potential customers who don’t know your brand. 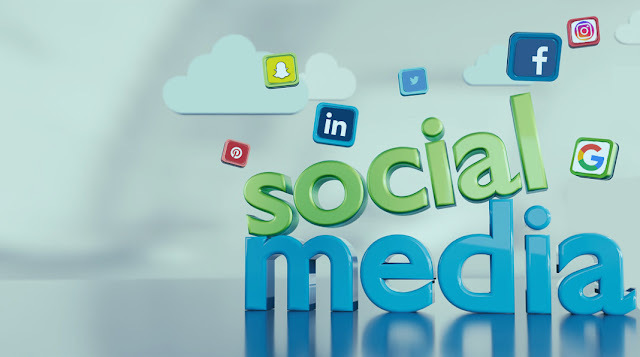 Social media marketing enables you to search out customers looking for information related to your product — even if they aren’t familiar with your particular product. For example, on twitter you can use Hootsuite to set up streams, following particular keywords related to your industry or products. When you spot people tweeting about that product, you can direct them to your site, or explain how your product can address their needs. This strategy can also be valuable for customers, who tweet about your brand, but may not be familiar with a new product or use case. By reaching out to them with new information, you can not only influence a sales decision, but also show customers how your brand is growing to better meet their needs.